It doesn’t seem to matter how many times “Wicked” comes to Dallas, Stephen Schwartz’s musical still sells out every performance. 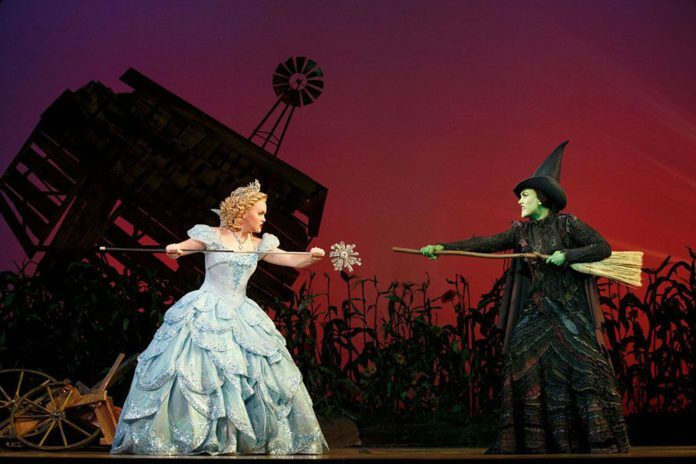 This time (for the fifth time) Dallas Summer Musicals has brought the story of the “good” witch and the “wicked” witch to the Music Hall at Fair Park for its longest run yet. “Wicked” tickets will be available for an unprecedented five weeks, closing May 22. Hopefully that will allow any of you who haven’t yet experienced this delightful Broadway musical to buy tickets. Especially popular with young (and old) females, one of the most appealing features of this musical is the friendship of two very different girls. Galinda is the popular blonde who will become Glinda the Good. Her roommate Elphaba, the green-tinged witch who’s ostracized by other students at the School of Witchcraft, eventually learn to love and appreciate each other. Their friendship proves stronger than all the forces aligned against them, from overbearing teachers to manipulative wizards. The best songs in the musical, which has been going strong since it opened on Broadway in 2003, are performed by the two women. Played in the national touring production by Emily Koch (Elphaba) and Amanda Jane Cooper (Glinda), their closing tribute to enduring friendship brought tears to my eyes. But then, that song always does. There is plenty of singing, dancing, romance and action by a talented ensemble of Munchkins, students, and monkeys. There are some spectacular special effects too, such as the flying scene that accompanies Elphaba’s stirring anthem, “Defying Gravity.” In other words, “Wicked” has something for everyone in the family from elementary school age to geriatric grandparents. For ticket information, including how to register for the lottery drawing for inexpensive tickets held prior to each performance, visit www.dallassummermusicals.org.